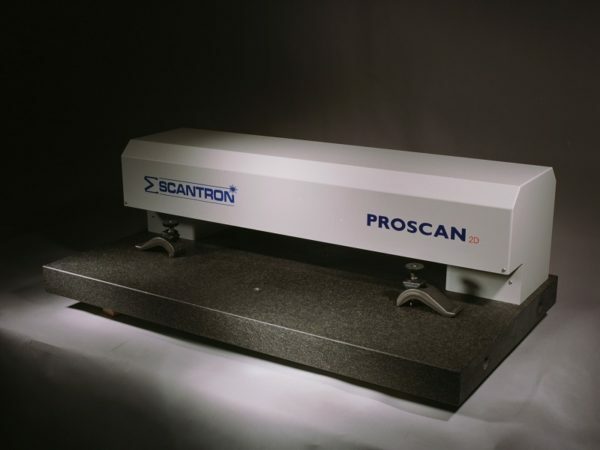 The Proscan 2D surface profilometer is a fast, accurate, non-contact 2D profilometer, used in a broad range of applications and useful for detection of sub-par products before they make it to the customer. Developed by Scantron, the Proscan 2D is a popular solution with clients looking for a non-contact solution for offline sample inspection. It facilitates the measurement of roughness, flatness, shape, width, taper and bow on boards, panels and strip. 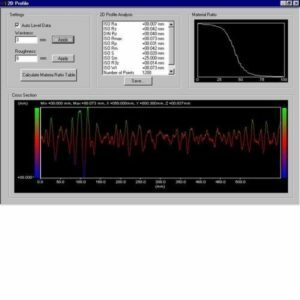 The Proscan 2D surface profilometer is an essential addition to any production environment where the analysis of a surface is critical to the performance, productivity or yield of the product. Calling on 30+ years experience, the Proscan 2D combines the very latest in non-contact displacement sensors with sophisticated and easy to use software. We have a number of other surface profilometer solutions available and can build bespoke systems to suit your specific requirements – contact us to find out more. 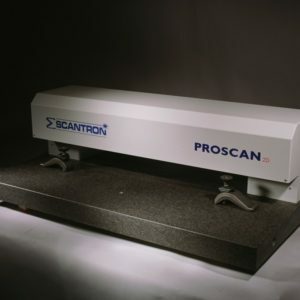 The Proscan 2D surface profilometer is at home in a number of settings and, with its array of measurement capabilities, it’s a versatile tool that offers a multitude of practical benefits, central to which is maintaining quality control and preventing delivery of sub-par products to customers. This offline profilometer will scan the top surface of objects over a distance of 800mm. 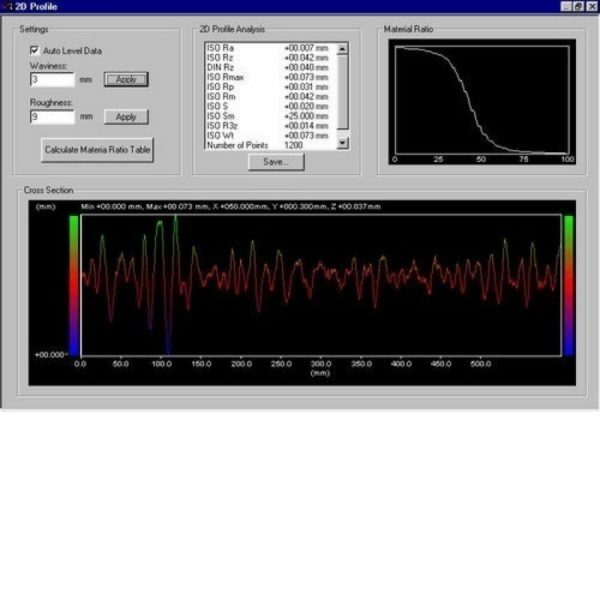 A graphical 2D representation of the scanned data will be shown on screen and by using the surface analysis tools the sample can be properly quantified. A number of different sensors can be used with the Proscan 2D. This enables the end user flexibility to measure a wide variety of different materials with contrasting surface properties. Sensors with very small measuring ranges are often used on very smooth surfaces to determine true surface roughness. Sensors with larger measuring ranges are used more on surfaces where a profile has been produced and needs to be measured.